The true story of EST, the group that seduces Philip in this season of The Americans. 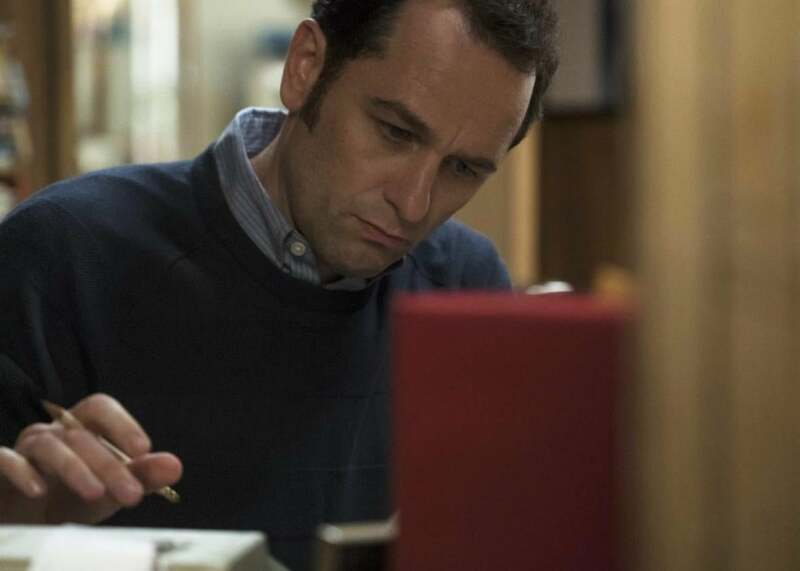 Matthew Rhys in The Americans. Clarification, May 20, 2016: This story has been modified to clarify several points. Werner H. Erhard did leave the country during a period when the IRS was auditing his taxes, but he was found not to owe any additional taxes and won a $200,000 settlement from the IRS for making false statements about his taxes. This story also originally stated that EST participants were not allowed to take prescription drugs. In fact, they were discouraged from doing so unless it was medically required. In addition, the story should not have characterized EST as a “cult,” a term for which the story offered no support. If you are interested in religion, The Americans is one of the meatiest shows on television. There’s Pastor Tim, the nuke-protesting minister who serves as a father figure to teenage Paige, who was baptized in Season 3. There’s the Soviet-style atheism of the two leads, undercover spies Philip and Elizabeth Jennings. And then there’s Erhard Seminars Training, or EST, the pop-psychology phenomenon that has attracted FBI agent Stan and his ex-wife Sandra and is playing an increasingly significant role in Philip’s life this season. EST was founded in 1971 by a handsome former encyclopedia salesman named Werner Erhard, who had changed his name from John Paul Rosenberg a decade earlier. He launched EST in San Francisco and it quickly spread across the county. EST was not officially a religion but a training program meant “to transform your ability to experience living so that the situations you have been trying to change or have been putting up with clear up just in the process of life itself,” as Erhard put it. At its peak, thousands of people a month were paying hundreds of dollars to partake in weekend training seminars in order to “get it”— EST-speak for a vague kind of self-actualization. EST meetings took place in swank hotel ballrooms and attracted professionals and celebrities like Valerie Harper and Yoko Ono. Talking, smoking, eating, and note-taking were forbidden during seminars; breaks were rare. Even when trainees went home in between sessions, they could not drink or take prescription drugs, according to Psychology Today. That article also reported that session leaders alternately berated attendees as “assholes,” and led them into trance-like states. Trainees were strongly encouraged to recruit others. The light dawned slowly, with Ted chirping, “See? See?,” and then one and another acknowledged eagerly that, yes, they got it, and gradually a swell of exultant revelation swept the place. It was amazing to behold. They were perfect exactly the way they were. EST was part of the Human Potential Movement of the 1970s, which emphasized human agency and personal growth as a response to generational ennui. Not coincidentally, Erhard had drifted through Scientology and a program called “Mind Dynamics” before launching EST. In the mid-1980s, he renamed EST “the Forum,” and in the early 1990s he left the country during a period when the IRS was investigating his taxes. (He was later cleared of all accusations of wrongdoing and won a $200,000 settlement from the IRS.) Later, the Forum morphed into the Landmark Forum, which continues to sell a program of empowerment-via-seminar. On The Americans, EST seminars are depicted as both intense and a little dippy. Stan’s girlfriend, whom he met at EST, encourages him to use its techniques to handle a problem with his boss. “Be clear and direct about what you’re feeling,” she urges him. “If his problems or lack of clarity are causing him to stand in your way, then your truth and clarity will blow right through him.” The FBI doesn’t work like that, he tells her wryly. Philip can’t really partake of the full EST experience, because it involves a kind of public confession. As a man who has killed easily dozens of people, many of them innocent, his “truth and clarity” are in a different category than those of housewives with naughty fantasies. But it’s clear that the program is cracking something open in him. It helps him confront the memory of his first murders at age 10, and it’s clearly one of the forces making him increasingly uncomfortable with his double (triple, quadruple …) life. He can’t turn to religion, because to do so would be to betray the political values he has devoted his life to. But EST is performing similar work on him in its imperfect way. There’s a lesson in this for other storytellers handling religion, spirituality, and related movements, no matter how silly or short-lived. The Americans could have mocked EST. But instead, the show is picking at why Erhard’s pitch might have appealed to so many thousands of hungry people, including one who just happens to be a brutal killer. It’s easy to sneer at the opium of the people. But it’s far more interesting to ask why the masses are lighting up.